Open Auditions. 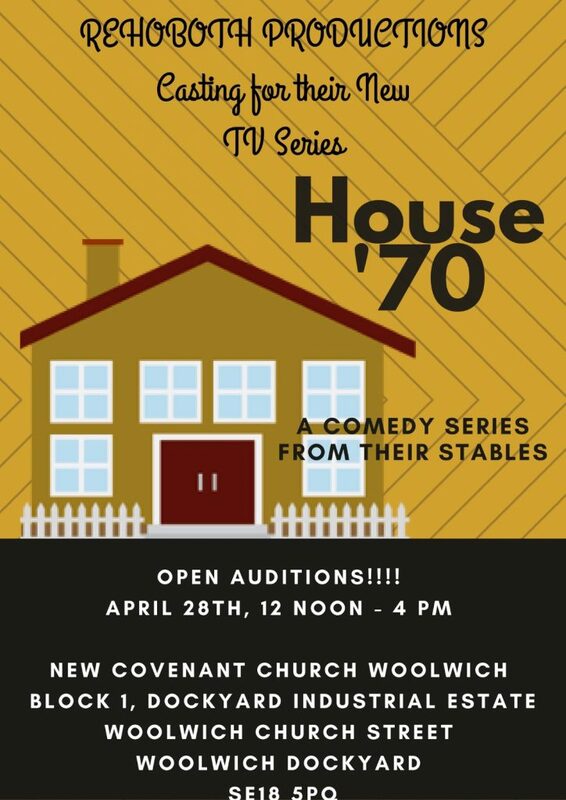 We are currently auditioning for a new serious Comedy TV series due to air summer time called House 70. The House 70 is full of various personalities and characters. Ability to do any accent e.g. Irish, American, British, Polish, African etc. are welcomed. No registration needed as this is an Open Audition. Just be prepared to audition for a comedy. There will be 2 stages for this audition, please be prepared to stay during the hours for audition. Unit 4, Block 1. Woolwich Industrial Estate. Woolwich Church Street.